What happens when a family suddenly finds themselves in trouble, facing eviction and possibly homelessness? Rooftop Nashville provides temporary emergency rental assistance to help families in need avoid falling into the cycle of homelessness while they work to regain their footing. 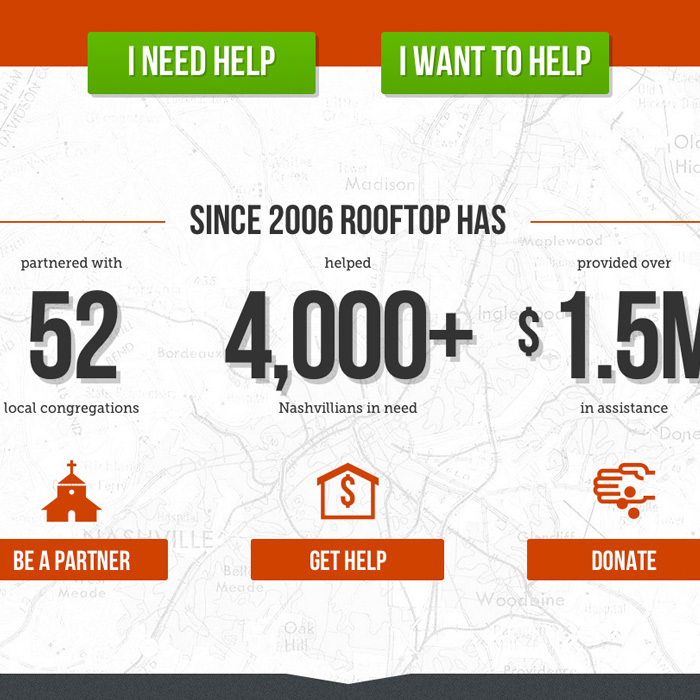 Rooftop does this in partnership with local congregations who can help identify and follow up with people in need. 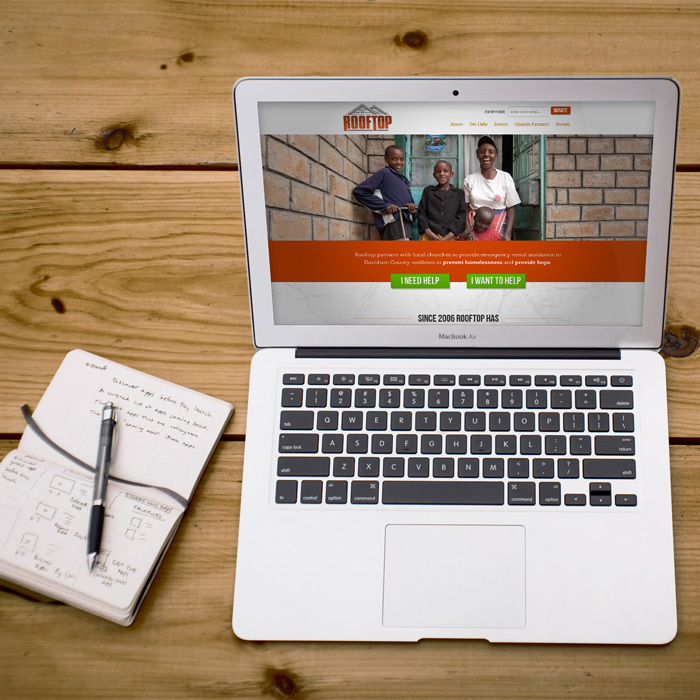 With clear calls-to-action to partner, donate, or request help, the new Rootftop Nashville site makes it simple and easy for people to find assistance and give assistance. 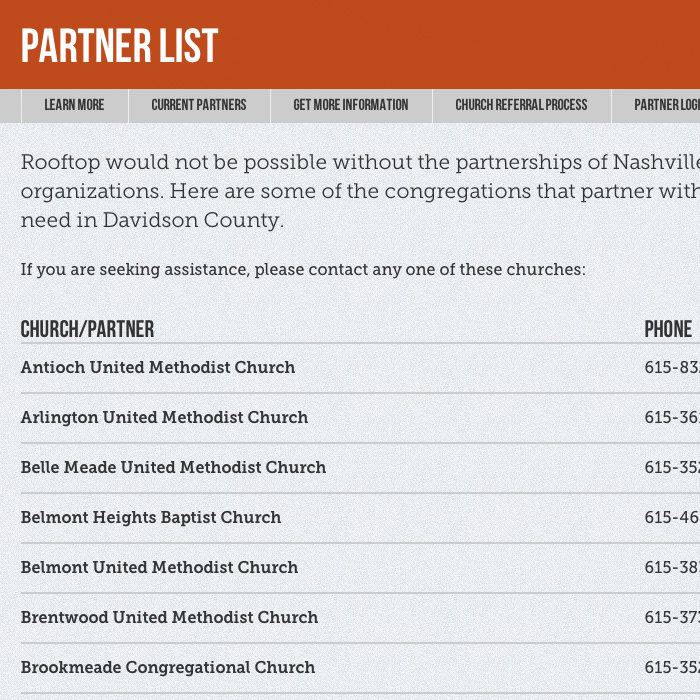 A list of church partners and a partner login system helps the organization and partners communicate, ensuring as many people as possible are being helped.